No, not the kind you're thinking of. After watching a video just now, it reminded me of the days when I was a newlywed with my children’s mother. She was carrying our firstborn and we had just moved from Virginia Beach to Punxsutawney, Pennsylvania. That’s where Phil, the weather predicting groundhog lives. That’s where my wife was from and she wanted to be close to her mother. Neither of us had any real experience with babies so we thought this was a good idea. So did I except for the part about living with her parents. Unlike my own hometown, employment was as scarce in that part of the country. It is a very rural area who’s only industry was coal mining. I was much too claustrophobic for that kind of job. After almost two months of being out of work, I finally got a call that was more to my liking. It was from a coal company that practiced “strip” mining. Instead of burrowing tunnels into a mountain, they bulldoze the top off until they get down to the ore. The D-9 Caterpillar that I tested with was like a dream come true, especially for winter operations. As you can see in the pic, they usually come with a heated cab that was like a small room. However, being the “new kid on the block”, I was less fortunate. For one, my interview was in the day time. They needed an operator for the 11PM-7AM shift. For two, the machine provded for me was much older that the one I was tested on. It only had an open canopy, but not a heated cab. Not a good set up for a Southern boy. Not wishing to be out of work again I gave it my best shot, for almost a week. At 4 degrees Fahrenheit With no thermal clothing I thought I would freeze to death. Yet, the last straw came the night I was working in nearly zero temperature and it began to snow. Silly me thought they would knock off until after the storm like we would down in Virginia, but not these miners. We just kept right on stripping and pushing the dirt over the mountainside. That’s when I nearly “bought the farm”. Snow was blowing into my face so fast I couldn’t keep my eyeglasses clear. It was hard enough to see the cliff’s edge in the dark, even with headlights, but the snow made it threateningly difficult. Although I couldn’t see it, I knew that there would be a 90-100 foot drop if I pushed out too far, and I almost did. Call me a coward but it took less than a minute for me to park that dozer and begin to formulate plans for moving back to Virginia. Not a coward you just recognized reality. My husband used to go on an on about how much he LOVED cold weather. Until one year, over a Christmas trip north to visit family, we took him for a walk in 5'F weather. He no longer claims to love cold weather. @SophiaMorros It never has taken very long for me to enjoy all the cold I can stand, but it wasn't just the frigid temps. It was not being able to see. that ended the job for me. @UncleJoe what? You don't like working blind? Wow what i story, I would not have lasted at that job at all and them to make you work like that in those conditions was not good at all. @hillhjill Those guys up North are a lot tougher than I am. @UncleJoe I'm guessing. There would be no way I could do that even though I'm used to the cold and snow. @Upallnite How about 2 days later? I'm such a wimp. 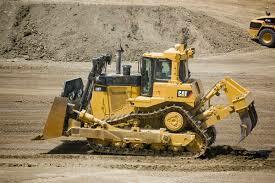 At least you parked the bulldozer--I would have let it go over and blame the weather! But then you were/are a Southern Gentleman--back in those days I was a Yankee and you know what they are like! Luckily I lived in Memphis for 10 years and they straightened me out! Hmmmmm, so after that you became a stripper?? @rebelann The title to this post refers to strip mining for coal. I don't blame you! what a job - whyever did they work round the clock like that? @jaboUK In one word, "greed". Wow! That is a frightening experience. Can't imagine using any of that big equipment. How long did it take you to get out of there and back to Virginia? @PatZAnthony, 3 days later I was back in Virginia. I would be headed back too. I don't blame you one bit for quitting. What awful conditions to have had to work in.